Under the deal, couriers will now be able to choose to become ‘self-employed plus’, which provides a number of benefits such as holiday pay, rest breaks and guaranteed pay rates. The GMB claims it will allow couriers to earn at least £8.55 per hour over the year, which is more than the minimum wage of £7.83 per hour. In the past, delivery companies have been criticised for exploiting workers on zero-hour contracts and putting them in danger. 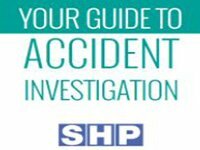 A survey of gig economy drivers and couriers carried out for a new report by the University College London’s Centre for Transport Studies in August 2018 found two in five (42%) reported that their vehicle had been damaged as a result of a collision while working. “As a result of our ground-breaking agreement, couriers will have a real voice in their workplace as well as the right to holiday pay and guaranteed pay, something GMB Union has long been campaigning for on behalf of our members,” said GMB General Secretary, Tim Roache. The Chief Executive of Hermes UK, Martijn de Lange, commented: “This new option allows couriers to retain the flexibility of self-employment we know is so important to them and gives them the certainty of guaranteed levels of earning, the security of holiday pay and a strong voice. 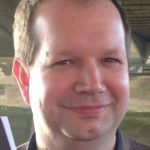 Neil Tonks, a legislation expert at MHR, described the agreement as a “breakthrough for the gig economy”. “The introduction of a new optional ‘self-employed plus’ contract will entitle its couriers to receive guaranteed pay and rights such as holiday pay and rest breaks in exchange for following the couriers most costs efficient routes,” said Mr Tonks. But David Greenhalgh, Head of the Employment Practice at law firm Joelson, claimed the deal does not represent the” landmark precedent that the GMB Union would have us believe”. “Hermes’ decision is more reactionary than anything, coming after a tribunal decision which found its drivers to be workers,” said Mr Greenhalgh. 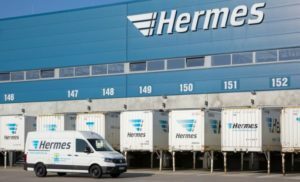 Gig economy: Hermes couriers to be offered holiday pay Couriers working for the delivery firm Hermes are to be offered holiday pay, as part of a deal struck with the GMB trade union.